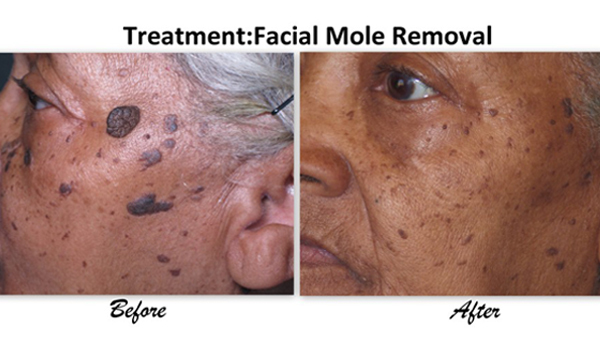 Like skin tags, moles are generally harmless and very common and can appear anywhere on the skin. Most people have moles removed for cosmetic reasons but also, if the mole contains any pre-cancerous cells, it is important to have the mole removed properly, in a timely manner and microscopically examined. 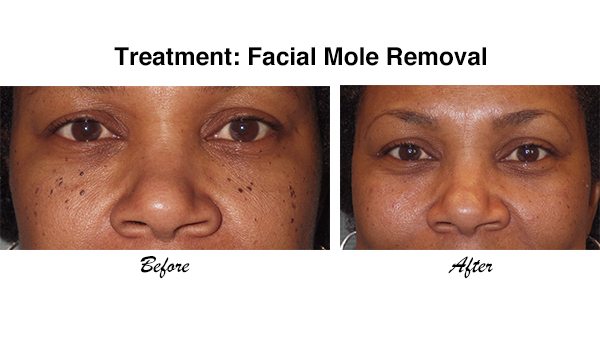 If you are bothered by the appearance of moles or if you notice any changes in the shape, size, or color of your mole, contact us so we may set up an evaluation with Dr. Cornell McCullom. DPN is a cosmetic condition in which multiple brown lesions grow on a person’s face. People often refer to these lesions as ‘facial moles’. Technically, these lesions aren’t moles, but another type of harmless skin growth. DPN tends to run in families. Dr. McCullom is experienced and skilled at removal of dermatosis papulosa nigra lesions. 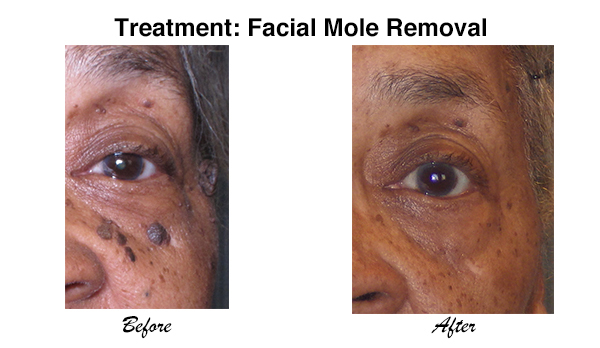 Removal of these ‘facial moles’ is elective and is generally quick, painless and simple. 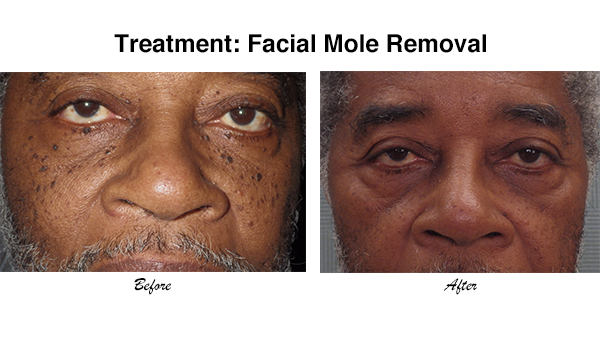 Dr. McCullom uses an incisionless mole removal technique. He uses new radiowave technology to achieve the best cosmetic result. Some patients report the procedure as ‘scarless’, but this isn’t always promised. Skin tags are harmless and common, however many people find them to be unsightly and would prefer them to be removed. Also, some find them to be annoying as skin tags tend to get caught in jewelry or rub against clothing. Regardless of your reasons for wanting skin tag removal, we can help. Dr. Cornell McCullom is experienced in the removal of skin tags. During your treatment with Dr. McCullom, he will perform a minor 15 minute procedure to remove the skin tag. Generally, it will take 3-7 days for the skin to heal completely. Once treatment is completed, you will be able to feel more confident about your appearance and enjoy clear skin. Contact us for a skin tag removal consultation.